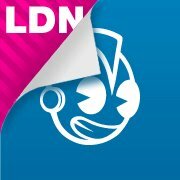 Dunny Addicts: Gespot: Kidrobot London Closing! Gisteren werd op de Facebook pagina van Kidrobot London bekendgemaakt dat ze gaan stoppen. De geruchten gingen al enige tijd de rondte, maar nu is het dan officieel. Er word gezegd dat het met Kidrobot zelf wel gewoon goed gaat, alleen met hun winkel in Londen dus niet. Erg jammer om Kidrobot weg te zien gaan uit Europa! 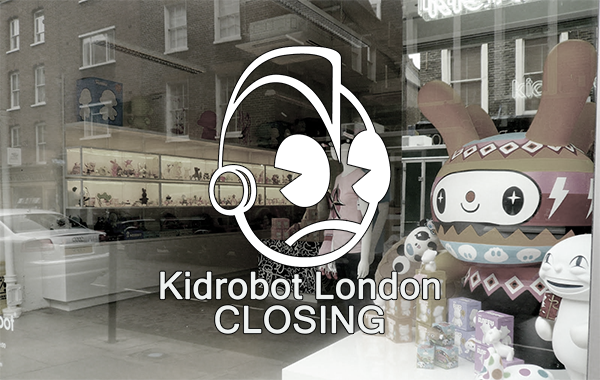 There has been rumor and speculation about the future of our Kidrobot London store, and the impact this may have on the vinyl scene on this side of the ocean. We regret to say that we are indeed closing down. This January will be our last month of trading at 19 Earlham Street. We have struggled to approach this issue delicately, as we know a lot of you have come through the store over the past few months and have raised the concern with us. We understand your concerns with what this means for our little tight knit community with the store closing down, as this impacts not just our artist friends, but those who enjoy the Kidrobot brand for what it is and what it stands for. The Kidrobot brand is still going strong. It is just our store in London being impacted. Firstly to our brilliant customers/fans; Thank you for your custom over the past 3 1/2 years. We here at Kidrobot London have loved getting the chance to know you all. Thank you for sharing your collections with us, your passions, and bantering about how annoying flocked toys are to keep. Many of you have become more than customers, we’re happy to be able to call you friends. Secondly To our artist friends; Thanks for all your support over the years, be it with shows, customs or just coming to hang out. We have watched many of you grow and have enjoyed watching you all making your mark with your amazing customs and art. We still get little tingles down our spines when we see your names amongst the heavy hitters in our scene. Thank you for sharing your passion with us! Thirdly and on a personal note; Thanks to the ragtag bunch of misfits and delinquents that were the Kidrobot London staff (present and past). I’ll miss coming into work each day and seeing you guys and gals. You were the best make shift family anyone could ask for. Let’s keep our little toy community spirit strong, and growing. Why not share with us your favorite moments of Kidrobot London, We'll start. Our fondest moment here at Kidrobot London is meeting you all. It wasn’t about the vinyl, it was about the people. You all rock. Much love and big up the UK designer toy scene.